Intervening on the vineyard with the aim of reducing the gap between technological and phenolic and aromatic maturation by foliar treatments based on specific yeast derivatives: this was the underlying objective of Lallemand's research, which enabled the development of two innovative natural products designed to improve the quality of wine, starting from the vineyard. 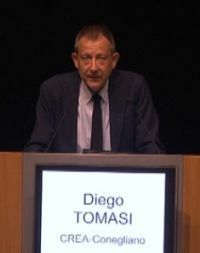 Diego Tomasi, researcher of the CREA Research Institute in Conegliano, describes in his presentation action mechanism, field results and applications. In the second video seminar, Anne Julien-Ortiz, Lallemand, illustrates the research conducted with INRA for the selection of an alcohol low-yield yeast strain that allowed obtain a Saccharomyces cerevisiae yeast with peculiar technological features such as a natural increase in total acidity, high glycerol production and limited volatile acidity. 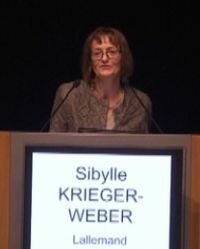 Finally, Sibylle Krieger-Weber speaks about the new strain of Lb. plantarum that allows malolactic fermentation to be carried out quickly, ensuring early control of indigenous flora, rapid microbiological stabilization of wine and absence of organoleptic deviations.